Large-scale acquisition of land in the global South has received a great deal of interest in the last few years. Especially following the food crisis, and stimulated by the growing demand for biofuels, pressure on land continues to increase. 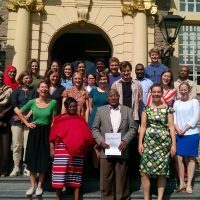 This course provides a multidisciplinary analysis of the ‘land rush’ within the more general context of land governance in Africa, Asia and Latin America: the history and drivers, the diversity of stakeholders and networks involved, the urgency of current challenges, and innovative governance solutions.